If you are interested in joining my research group, please read this. I received a BS in Biology and Computer Science from Loyola College in Maryland and a PhD in Bioinformatics and Computational Biology from Iowa State University (ISU). Upon graduation, I received a ISU Research Excellence award and the university-wide Zaffrano Prize for Graduate Research. Starting after graduation in 2007 I spent the first ten years of my career as a faculty member at the University of Notre Dame, and now am an Associate Professor at the University of Tennessee (Knoxville). 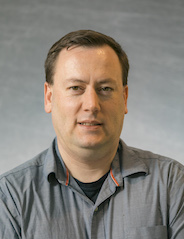 My research interests include genome-focused bioinformatics, parallel and distributed computing, and the intersection of biological applications and second and third-gen sequencing. Nearly all of my research has been funded by the National Institute of Health (NIH). Josh Livermore (Environmental Change postdoctoral fellow, primarily advised by Stuart Jones; bio). - New R21 arrives with Emrich as PI to look at genome structure in Culex mosquitoes. - Rhodnius genome (kissing bug) published in PNAS. Continues to be one of the most read papers at UND according to ResearchGate. - Lauren Assour successfully defends her PhD thesis. Congrats Lauren!! - Two flagship papers from the Anopheles genome consortium published in Science. Aaron Steele (introgression) and Lauren Assour (synteny) key contributors. Emrich co-led the second paper on the gambiae complex with Matt Hahn and Nora Besansky. - Emrich and Besansky receive an NIH R21 to improve the genome of a neglected malaria vector. - Aaron Steele received a ISMB travel award to present work related to R21. Congrats Aaron! - Olivia Choudary and Nick Hazekamp present their work at CCGrid. Congrats! - Emrich and others receive an internal $100K grant (inc. cost share) to purchase 6 high memory machines for bioinformatics. - Novel virus discovered by Emrich and characterized by collaborators published in PLoS ONE. - Shanw O'Neil's paper on expression differences under climate change published in Molecular Ecology.